Canada’s Banff National Park has long been one of our favorite destinations to visit as a family. Tucked away in the Canadian Rockies, Banff is not only one of the most beautiful and picturesque places on the planet, it is also one of the world’s best outdoor playgrounds. Visiting Banff with kids is a great way for families to experience nature together, disconnect from the things that aren’t important and truly connect with the things that are. Banff National Park is about 1 1/2 hours west of Calgary, Alberta, which is a cool city to explore if you have the time. There are two main towns located inside Banff National Park: Banff and Lake Louise. 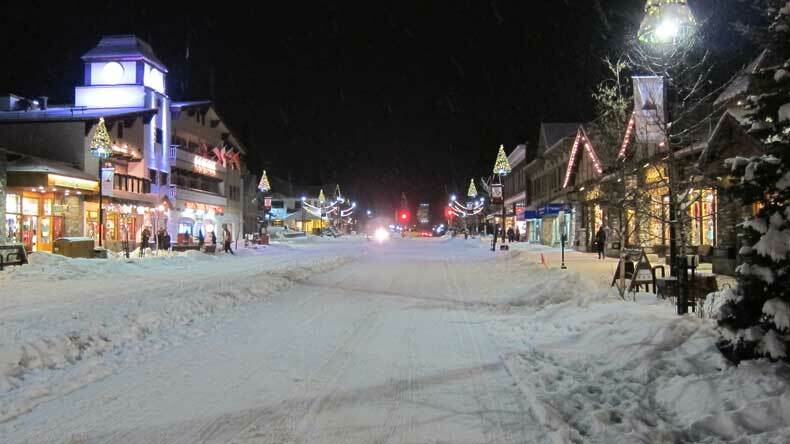 Just outside the national park, you will find another great town worth visiting called Canmore. Depending on where you stay in Banff, plan to spend roughly 1 1/4 – 2 hours in the car if driving from Calgary. The easiest way to get to Banff National Park is to fly into Calgary, rent a car, and drive. The highways in Canada are well maintained with fences to prevent wildlife from gaining access to the roadway. In winter, the roads are well plowed and accessible even after a big snow event. You can take a public shuttle from the airport to the towns, though I’m not sure how many stops it makes along it’s route, as we have always opted to drive ourselves. You will find a lot more lodging and dining options in Canmore and Banff than in Lake Louise, but all the towns have great family-friendly hotels and a variety of incredible restaurants. The time of year you visit Banff will determine your plans and activities while there. And your plans and activities during your vacation will likely determine in which town you should stay. Banff and Lake Louise are located inside Banff National Park so you will pay an entrance fee to enter the park before you get to your hotel. If you are staying in Canmore, you will not have to pay the park fees until the day you visit. 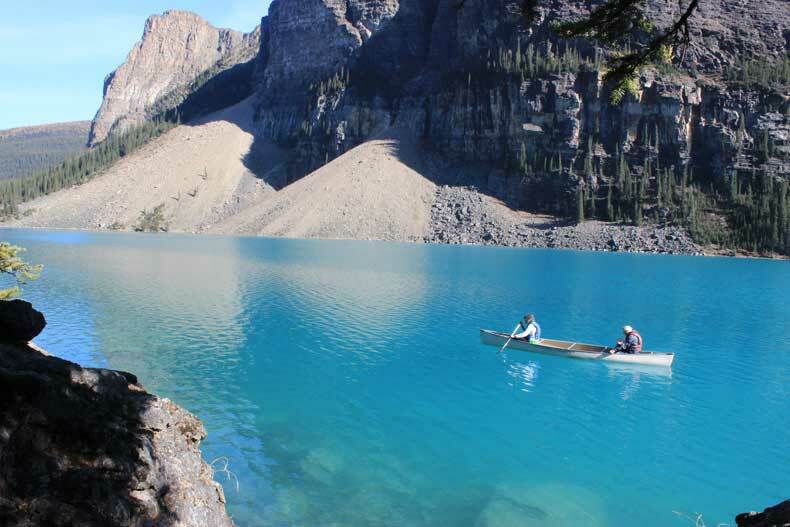 However, once inside the park many of the outdoor activities in Banff are free, although there are additional fees if you plan to fish or camp inside Banff National Park. 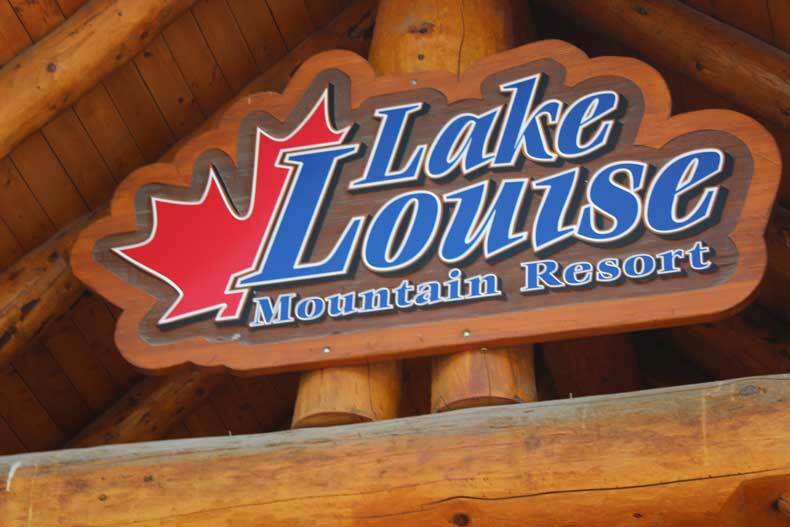 Also, if you plan to ski or take the gondola up at the Lake Louise Mountain Resort you will obviously pay an additional cost for those activities. We have visited Banff National Park in summer, fall, and winter. It is very family friendly, however, if you or your children are not fans of the cold, I’d seriously recommend visiting sometime between the months of June and September. This is Canada, after all, and winter in Canada can be extreme. With that said, the winters are still gloriously beautiful in Banff. 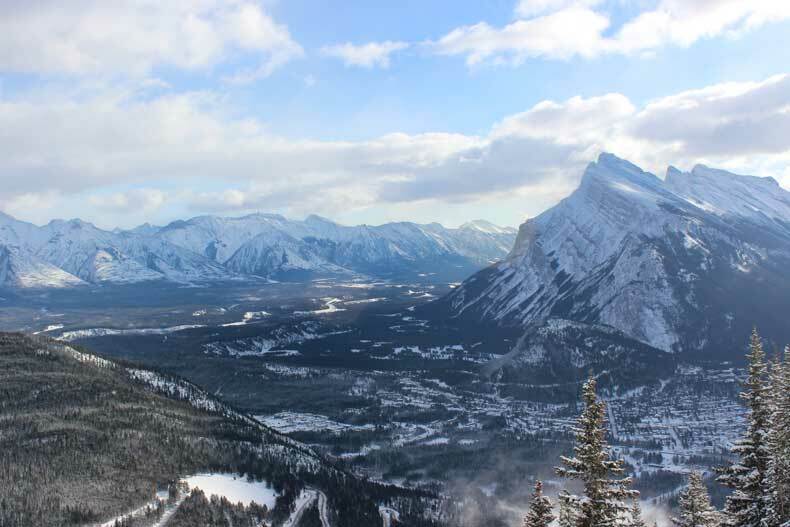 Snow-capped mountains and fresh white powder covering the ground makes winter in Banff look like a wonderland. Regardless of the season you visit, always bring some warm clothing. I would recommend packing a couple sweaters and a light jacket even if you are visiting in summer. We’ve witnessed it snow in September in Banff, and we were glad we had packed jackets. 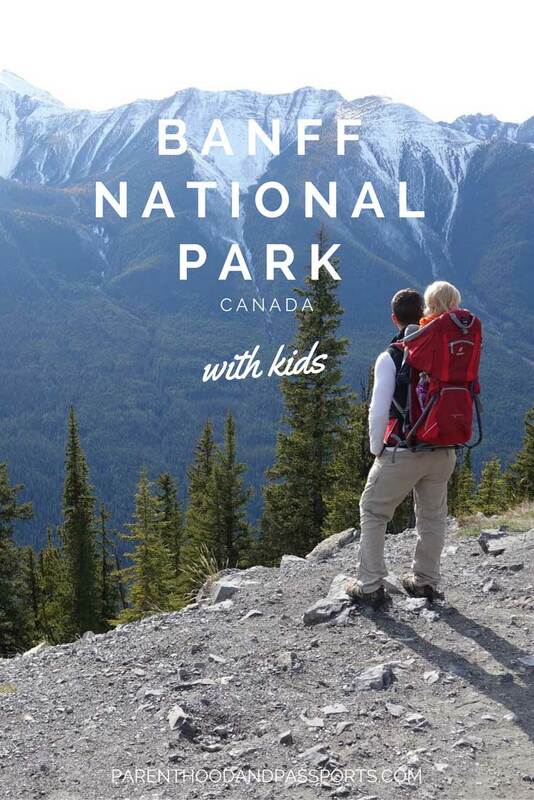 There are a TON of great outdoor activities to do with kids in Banff. And while you may not get around to doing all of them, here are 25 of our favorite things to do in Banff with kids. We’ve broken down the activities by season, because as previously mentioned, the time of year you visit will determine the activities you can do in Banff. 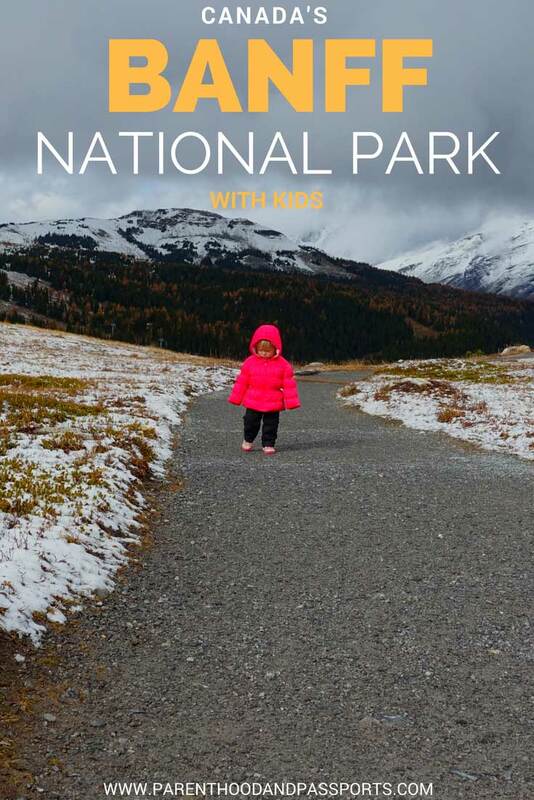 Make sure you check out our guide to outdoor activities in Banff for a more detailed look at some of these awesome things to do with kids. 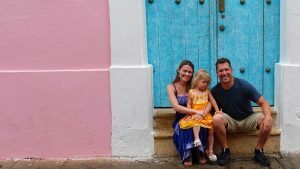 Have a question or comment about visiting Banff with kids? We’d love to hear from you! Leave your thoughts in the comments below.